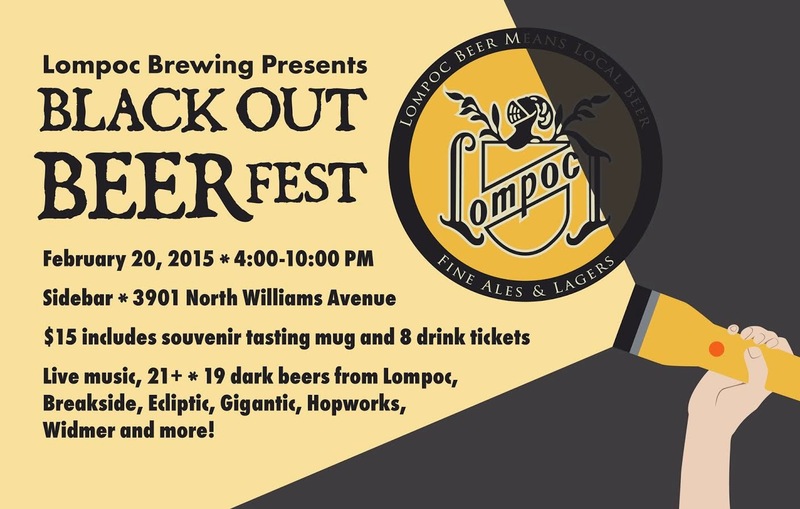 Another fantastic dark beer event will be returning this year, the Black Out Beer Fest held at Lompoc Brewing. The preliminary beer list has been released with more details to come. Where: Sidebar, 3901 N Williams Ave.
What: The Black Out Beer Fest will feature 19 dark beers: four from Lompoc and the remaining 15 from craft breweries including Alameda, Breakside, Burnside, Cascade, Ecliptic, Fort George, Gigantic, Hopworks, Lucky Lab, pFriem, The Commons, Three Creeks, Upright, Widmer and one yet to be named. There will also be live music and food specials.